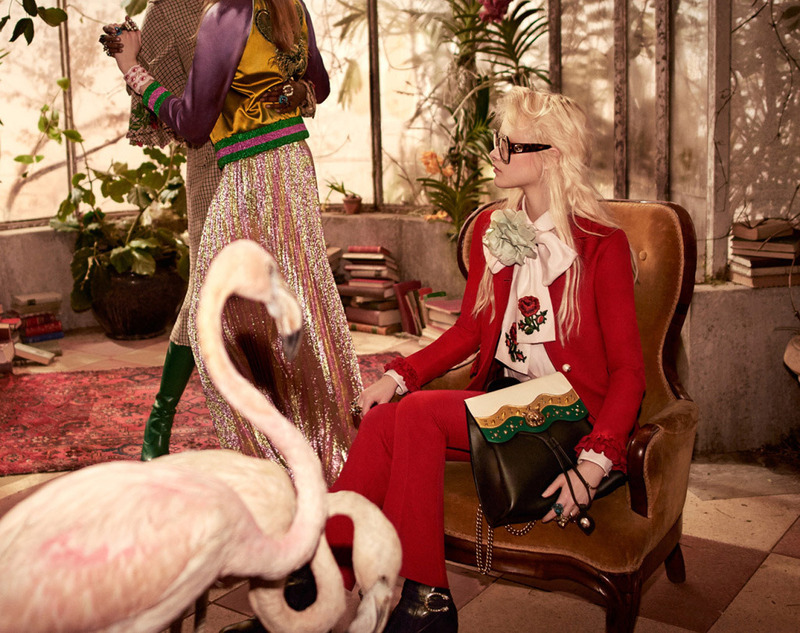 Glowy: Gucci Shows Off Its Pre-Fall Ad Campaign and its Exotic. 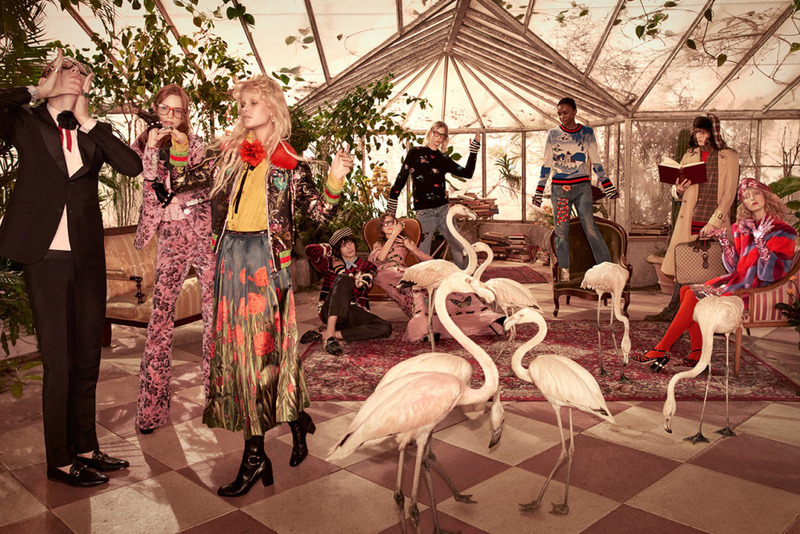 Gucci Shows Off Its Pre-Fall Ad Campaign and its Exotic. 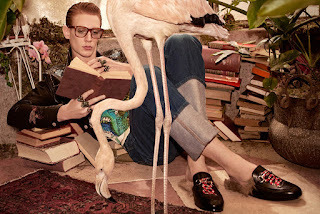 I think when you see flamingos, you think exotic yeah...That what Gucci added to ther pre fall Ad Campaign making it look all Exotic and posh. 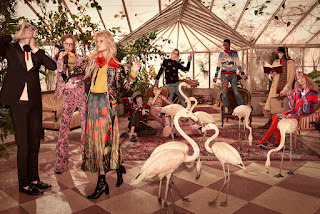 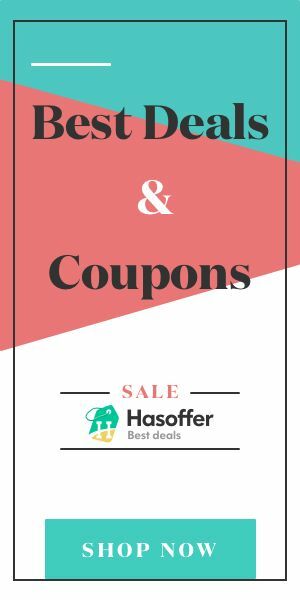 Flamingos roaming in a glass-domed aviary on colorful carpets, surrounded by lush plants and models posing on floral sofas, contribute to a visually rich set. 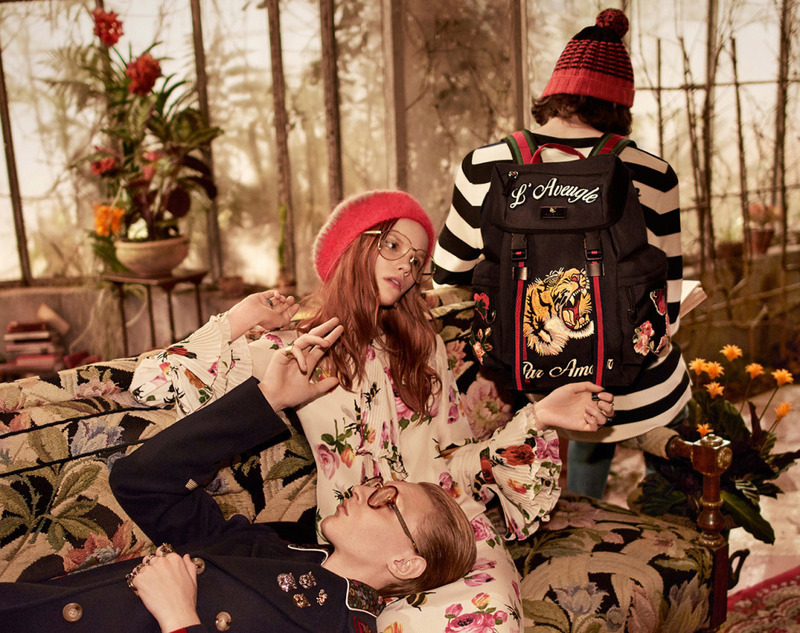 Styled by Jane How, the men’s and women’s models sport a range of outfits from the brand’s eclectic, flamboyant pre-collection designed by creative director Alessandro Michele.